A few weeks ago, I met up with Leena, an old friend from the USA. We've known each other for more than 20 years, and when I studied in Michigan, I always liked to spend my summer holiday at Leena's place in Minnesota. Now, we usually meet every two years, when she visits Malaysia for her summer holiday. It's been really nice to see her again and catch up on everything. We shared a lot of old memories about the USA, like the crazy things we did together and the fun we had on our road trip to LA. What an amazing adventure we had! Leena knows I've missed a lot of things about the USA, so she suggested that I plan a holiday to the USA with my parents next year. She lives in North Dakota, so when I visit, I can also take a trip to see Mount Rushmore, a famous attraction in South Dakota. I can also take my parents to visit some other places, like Minnesota, Wisconsin, Indiana, Michigan, and Richmond, Virginia. Richmond is the state capital and one of the oldest major cities in America. Here's what I would do in Richmond. I really love graffiti and street art. It makes old buildings look beautiful and colorful, and it also makes for amazing street photography. Richmond has a great district where locals and international artists have painted all of the walls. With over 100 murals, this district has become a favourite destination for street art enthusiasts. 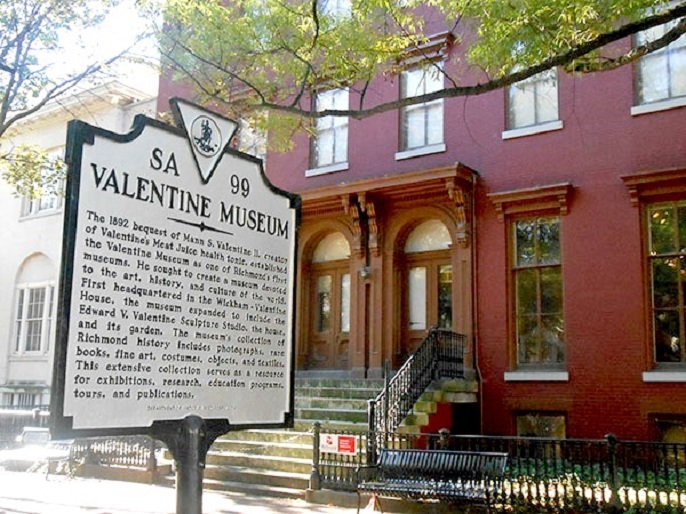 I also want to experience Richmond's history at The Valentine, which is located downtown. This museum has attracted many residents and tourists, as this place has collected, preserved, and interpreted Richmond's 400-year history for over a century. I am a donut fan, and in Richmond, I have to go to Sugar Shack Donuts! 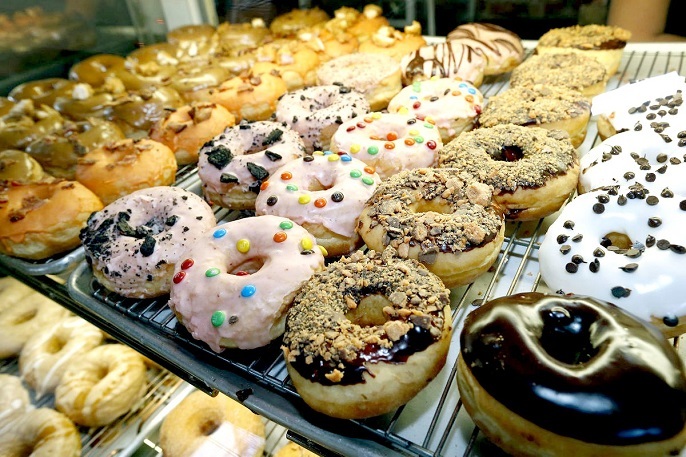 Some sites say that Sugar Shack Donuts can satisfy anyone and everyone because of the wide variety of toppings. Sugar Shack Donuts also has a mobile truck that delivers gluten-free and vegan donuts to shops around Richmond. Say "hello" to Richmond's craft beer! Richmond is a major craft beer destination with more than 20 breweries. The Wall Street Journal also says Richmond is home to one of the region's fastest-growing beer scenes. As a beer lover, I couldn't leave out the Richmond Beer Trail! I'm going to have my first kayak experience in the James River! It's Richmond's greatest natural resource with many outdoor activities nearby, such as biking, rafting, hiking, running, and climbing. From here, you can see a great city view of Richmond, too. Now, where should we stay in Richmond, Virginia? Hotels aren't very expensive here, even the famous international luxury hotel brands. Here are some of the best picks from HotelPlanner. The Graduate Richmond is a new hotel that just opened last month, so I'm sure it's neat and clean. Room rates start from $94 with either one king or two double beds. The rooms look so comfy and modern, and I like that the Graduate Richmond encourages guests to go green by reusing their towels and linens. The Crowne Plaza Richmond Downtown has a convenient location just a 20-minute walk to the Valentine Museum and some street art. It looks like a big hotel, as it has an indoor swimming pool and gym facilities. Though the interior and furniture look a bit old-fashioned, the rooms look decent and clean. The basic room rate is about $109, with a 4.0 rating from 881 guest reviews. I love the French-style backyard at the Linden Row Inn! The entire building has a European style to welcome guests. The room rate is reasonable, starting at $90 per night. If you look at traveler reviews, this inn has a 4.5 from 1,019 guest reviews. I took this picture with Leena 13 years ago in Duluth, Minnesota. Time passes, and people change. Look at the outfits and makeup we wore back then. Let's keep our fingers crossed that our next gathering happens soon in the USA! Love this. I would like to nominate you for the Liebster Award 2017. Read my post to find out what you need to do :) Congratulations!